It would help if you wouldn't combine all these quotes together to make it appear as if you were talking about IJ. New shots from WOLVERINE! Looks good so far, read an interview in Empire and it sounds like it'll be a bit more introspective. Not sure about Jackman and Schreiber sharing the same chops, but as a huge Wolverine fan (hell, my kid's called Logan) I'm looking forward to this probably more than anything else. I'm counting each score Williams does as his last. Um, this is old news. VERY old news At least a year. It was like announced soon after the first made a crap load of money at the BO. Ok, sorry. It was just that I read an article at www.Movie-Moron.com that outlined a lot of next summer's movies, and that one surprised me. Yea, yea, that website tells you all you need know about me, too. I don't know if this one is old news or not, but it looks awesome. This could be film of the year. Zombies, chainsaws, and Nazis. What more do you need, and where has this film been all my life? So it's a sorta German Shaun of the Dead? Could be fun, but then I thought our German friends didn't do humour? No, it's not German, it's Norwegian (Død snø). I remember reading about all the special provisions that needed to be made to film parts of Valkyrie in Germany because of the particular banned symbol that needed to be shown in that film, which led to parts of it being shot in Russia. That symbol is shown freely in this Dead Snow. Also, they're clearly not speaking German. I'm English don't forget. That makes me ignorant to foreign languages by default. Hmm, anything else? I kinda want to see Gran Torino. I wanted to see Synecdoche, New York but I believe I missed my chance. Oh btw, The Reader and Revolutionary Road have some of the best trailers that I have ever seen. I want to see Milk, W., and Benjamin Button. Of course, I've been saying W. ever since before it came out, so I'm not sure I'll see any of those films before they leave theatres. Oh, and I'd like to see TDK again on DVD. W. has been out of theaters for awhile, at least in my area. Milk is still a limited release, and I don't know if it will go wide. I know my friend saw Milk nearby. Official X-MEN ORIGINS: WOLVERINE trailer. Looks great. Insane, but great. Love that it looks like they're doing his history right. Terminator's future just sounds worse and worse. I hope Wolverine turns out better than the three other X-Men movies. I don't think anything could make Terminator 4 sound like a good idea in the first place. Who is Leiv Schieber supposed to be? Joe clueless about the origins of Wolverine. What about Terminator 5 and 6? 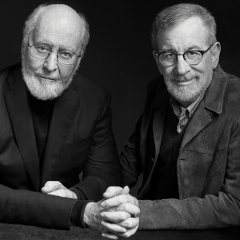 They're making a trilogy. Salvation looks like poo, they're not terminators, they're effing transformers. well maybe they are and maybe not, I am hoping for a boxoffice disaster of epic proportions. I will answer your question with another question: What? They are not making more Terminator films. They cannot be....Why...? Sabretooth. If I remember correctly, Weapon X is the organization that created them, had them work together for a while with a group of other mutants, and then ended in disaster, which each going their separate way. That group was a precursor the X-Men. That, in short, is the movie. Wow, it has been a while since I did anything with X-Men. Does anyone else remember that awesome cartoon ( what was it called, "X-Men: Evolution"?) that aired many years ago? I didn't watch that one. I watched the one before that on FOX in the early 90s. That was a great show. I wonder if this X-Men Origins Wolverine movie will show how Wolverine knew Captain America from World War II. I doubt it, because i don't think that Marvel is going to mix their Iron Man/Captain America/Hulk/Thor/Avengers franchises with their X-Men film franchise, which aside from two Origins movie is pretty much over. Is anyone looking forward to "9"? It is produced by Tim Burton and that guy who directed "Wanted". To me, it looks kind of like a video game, but that is not exactly a bad thing. Apparently, Danny Elfman will be scoring it, as well. I think it looks pretty good, all things considered, although they really need to find better trailer music. 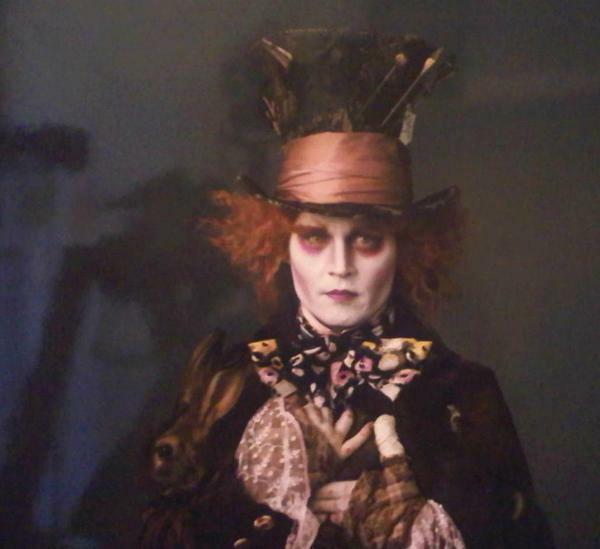 Concept art of Johnny Depp as the Mad Hatter in Tim Burton's upcoming film, Alice In Wonderland. The page says it might be fake, though, so maybe not. I thought the entire thing was going to be animated, but maybe not. If this proves to be real...then it's a step in the right direction. If by right direction you mean Burton being very predictable/repeating himself then yes, it is. Oh wow, I thought I was the only one who thought this. I saw this pictures and simply shrugged thinking, this image wasn't surprising. I thought it'll be another "Burton" film. Nothing wrong with a "Burton" film but his out there style is no longer out there for me since he does it every time. I do not know... that image looks a little...not...real. This is supposed to be a motion-capture film, am I correct? Honestly, how do you see that as a fake? It's real, or Johnny Depp likes to dress up with rabbits and take pictures of himself and then spread them on the internet. The film is live-action. I don't tire of Burton's usual style, just because I love it so much. His style may not be unique for Burton, but it's still a ton of fun to watch. The film will be 3-D, as any overview of the film production will tell you. Of course, that could be a conceptual model for the digital designers to base the character on. Meaning that due to Burton's overuse of surrealistic styles, Alice in Wonderland won't be unique in terms of stylistic vision. However, because I am a huge fan of Burton's use of surrealism, I eagerly anticipate this film. I wasn't speculating about whether it'll be in 3-D or not, I was speculating about whether the film will be completely or partially animated. And I have found my answer. I want to see Dead Snow when it becomes available in the USA. Morning sir, sighting in heavy fog. Keira Knightley and Colin Farrell are set to star in London Boulevard, a crime drama that marks the directing debut of The Departed screenwriter William Monahan. 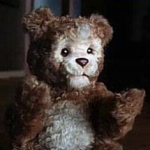 The film is based on the Ken Bruen novel, which Monahan adapted. Graham King is producing under his GK Films banner, with Monahan and Quentin Curtis. The film will shoot this summer in and around London. Farrell, who just won the Golden Globe for In Bruges, will play a South London criminal who, after release from prison, tries to give up the gangster life by becoming a handyman for a reclusive young actress. And I think I'm ready to embrace the hype, two years in advance. Im quite anxious to see the movie Knowing. since its a Nick Cage movie, most of us are Knowing there is a good chance it won't be the best movie. But I do love the premise. What is it about Cage starring in films that contain national secrets, predictions or glimpses of the future?